After a great !dea of Telephone Exchange !dea Cellular is come up with a new and awesome offer for its customer. You may know there are 2 types of loan facilities already provided by idea. You can take loan for SMS also simply dial 56500 from your idea mobile and your account will be credited with 25 Local and National SMS with 2 days of validity..
1. 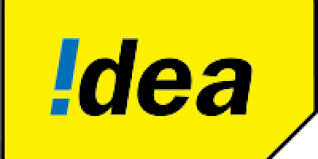 You must have completed 60 days in idea network. 2. You must have paid your previous loan. 3. You must not have main balance greater than 1 Rs. 4. You must not have old SMS plan active on your number. If you satisfied above conditions you can get SMS loan easily.. It's surprising you aren't more popular since you certainly possess the gift. sir, please send me the Idea Prepaid West Bengal internet plans list in a pdf file. hello sir my internet pack is active now but my mobile internet setting is not received please send me idea prepaid setting on my mobile.